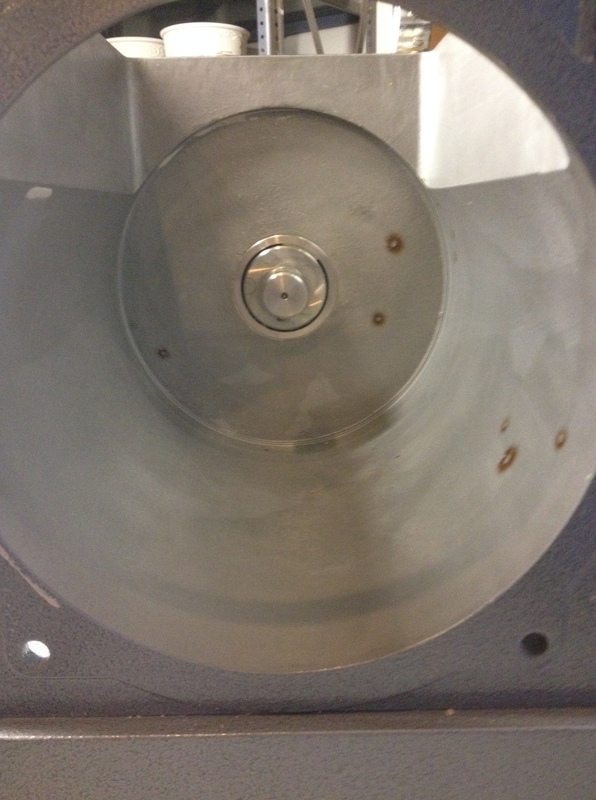 This is our Shimpo NVS-07 De-Airing Mixing Pugmill Lorraine. 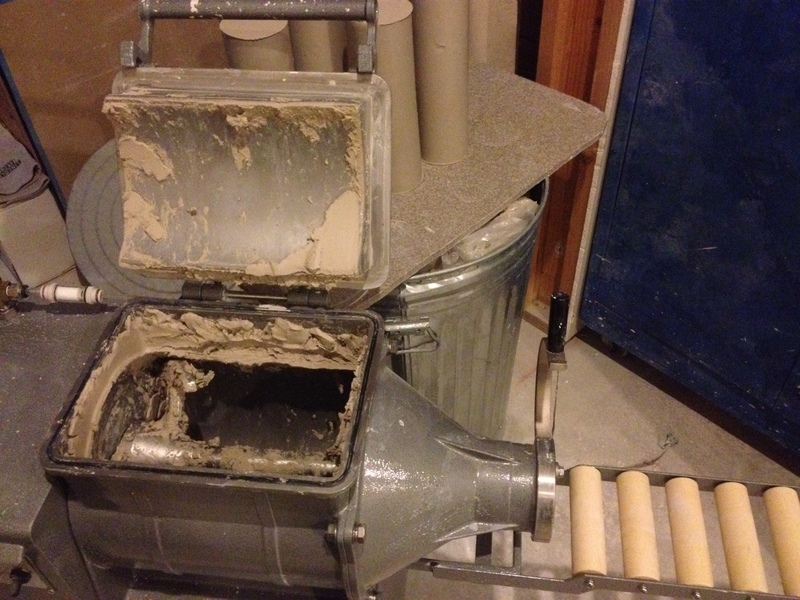 We needed to switch from earthenware to B-Mix 5 so it was time to clean it out for the change. We pugged the 50 odd pounds that was in the machine and got ready to clean. 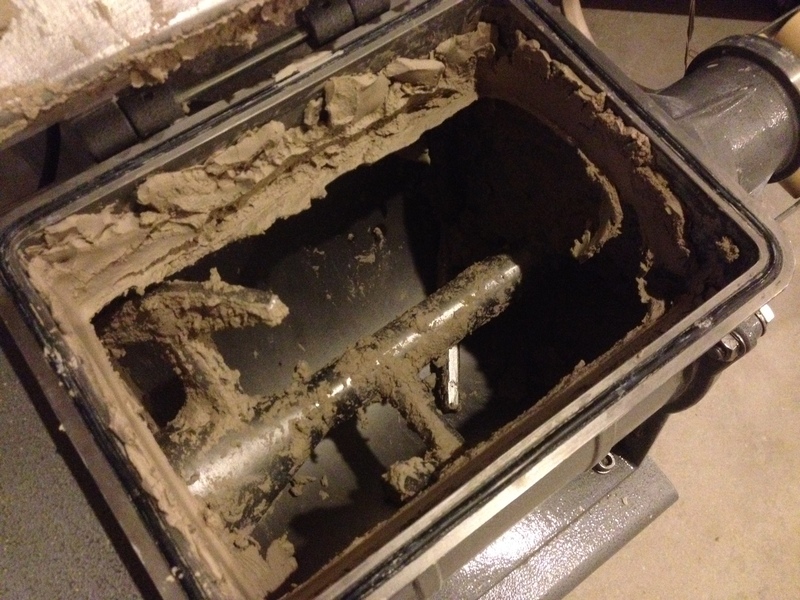 This is what the machine looks like after use. Close up of the inside. 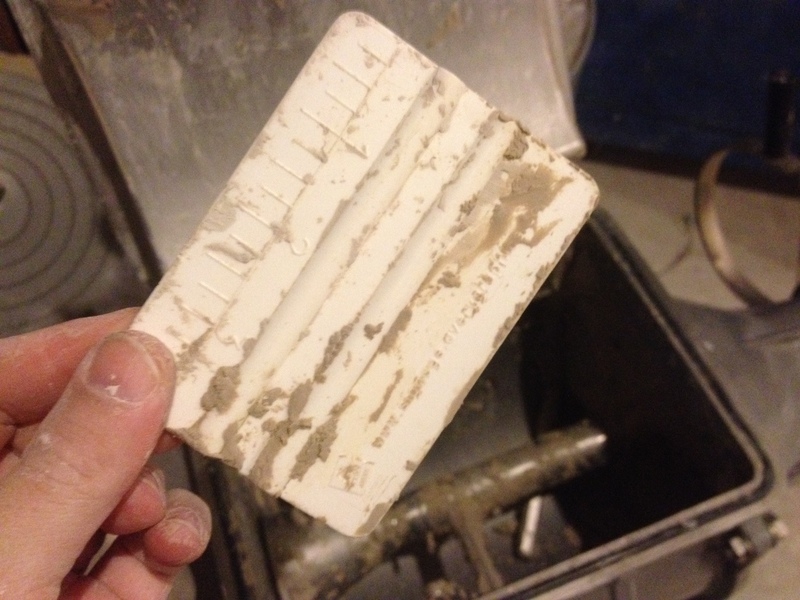 We used a hard plastic squeegee to get the bulk of the soft clay out. After just a bit of scrapping. You then unbolt the nozzle. Held on by 4 bolts. 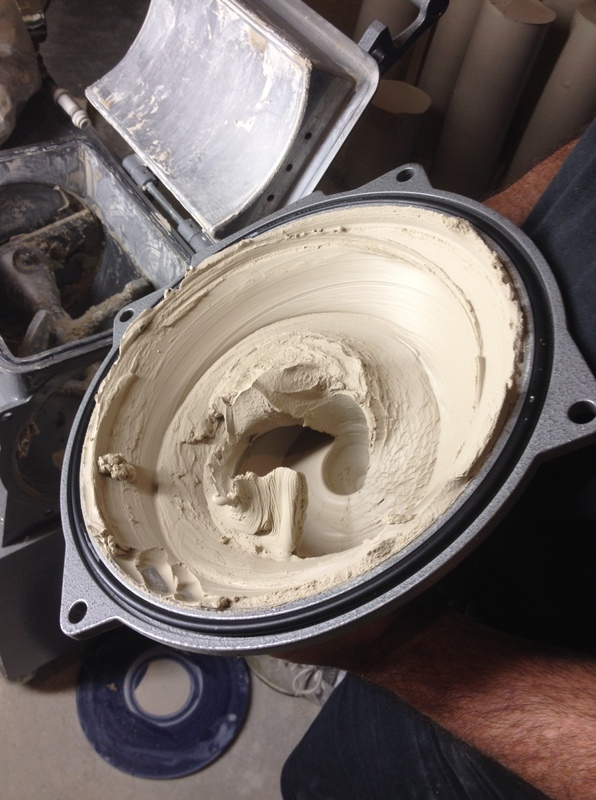 There’s a lot of clay left in the nozzle that you need to get out. 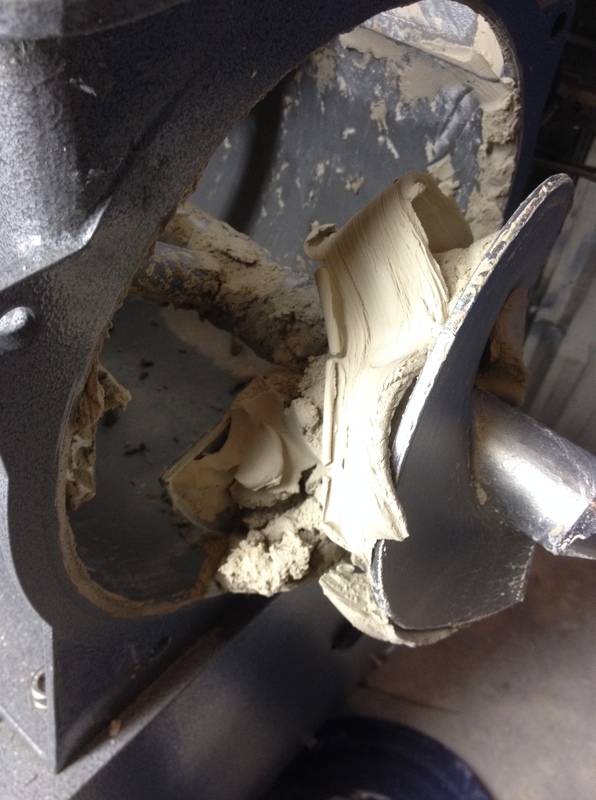 Then you have to clean the clay off the screw auger. 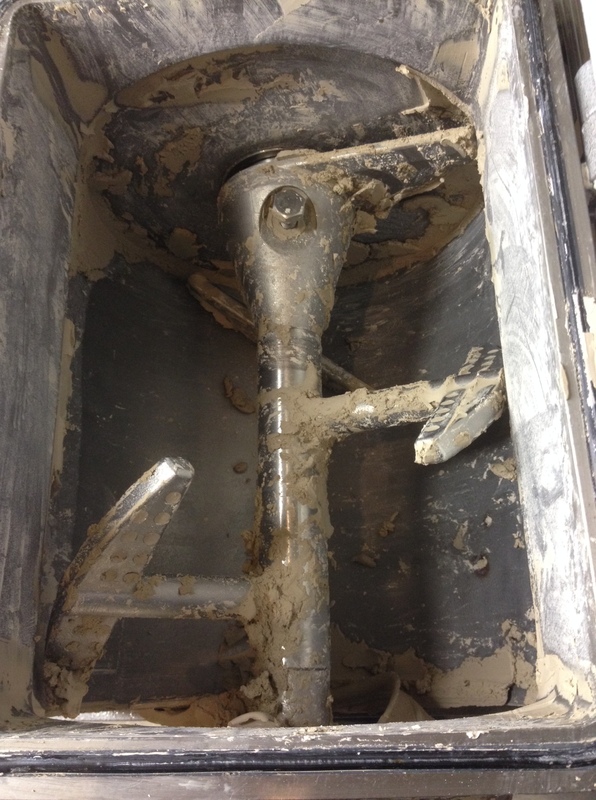 The screw auger is held on by one bolt. 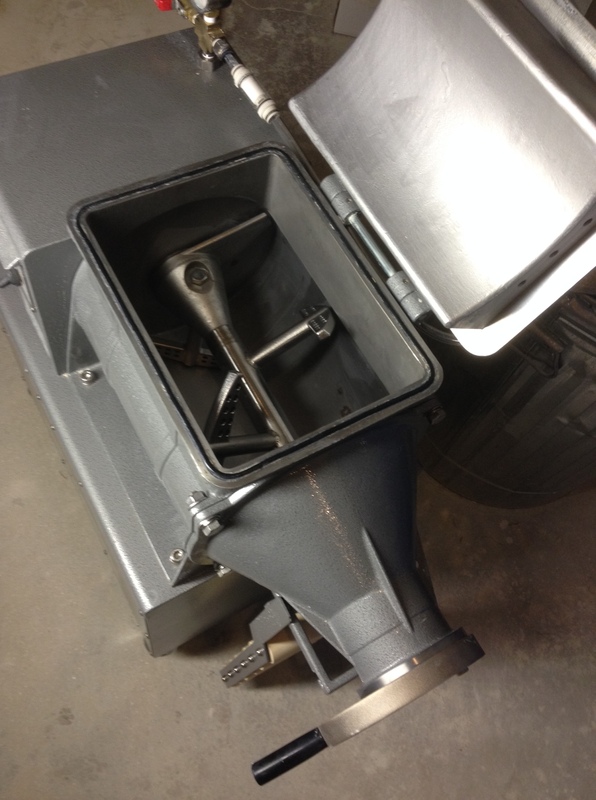 Remove the bolt then pull out the screw auger. Scrape the rest of the clay off and we used a chop stick to ream out all the holes in the paddles. 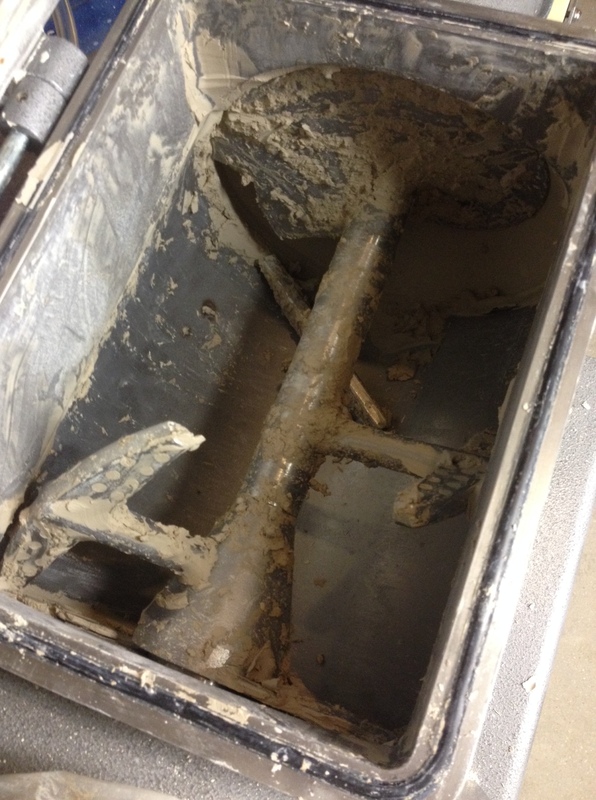 Once the auger is out of the machine scraping the inside of the pugmill is very easy. Then using a wet sponge wipe down the rest of the interior. Nice thing about taking these photos is I was able to see the little bit of clay I missed. 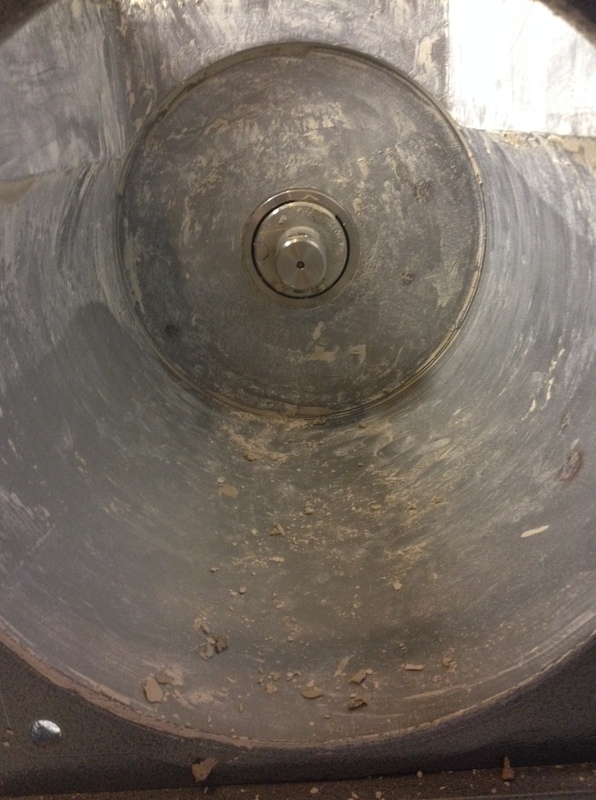 We used a garden hose to blast clean the screw auger. 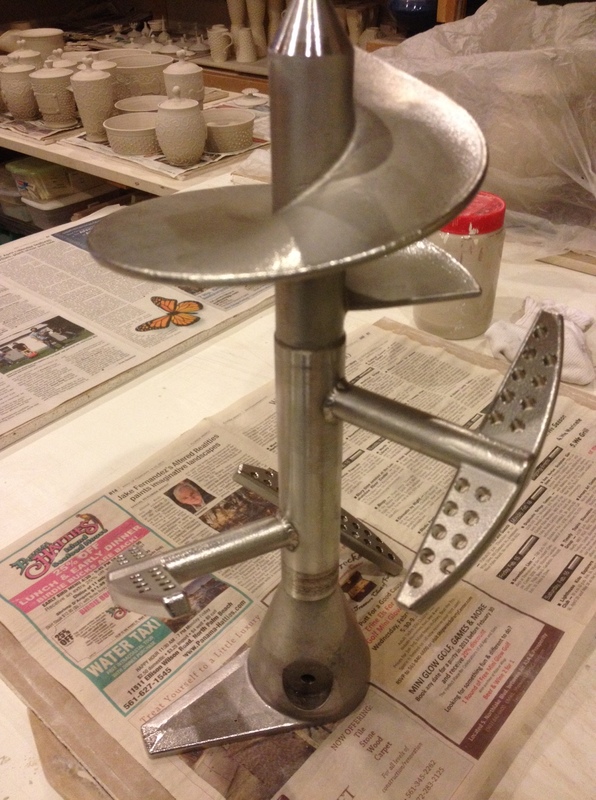 Scrap the clay from the nozzle using the plastic scraper then a wet sponge. 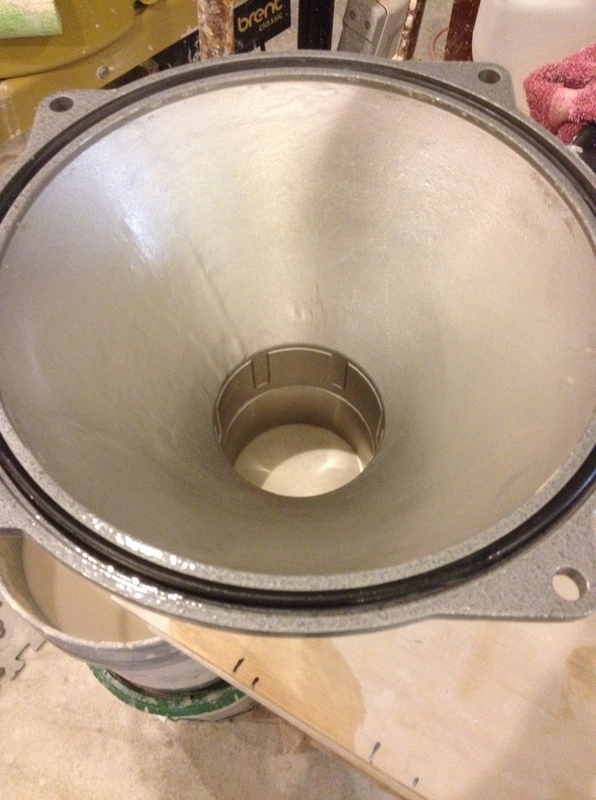 Then reassemble and it’s ready for more clay action. 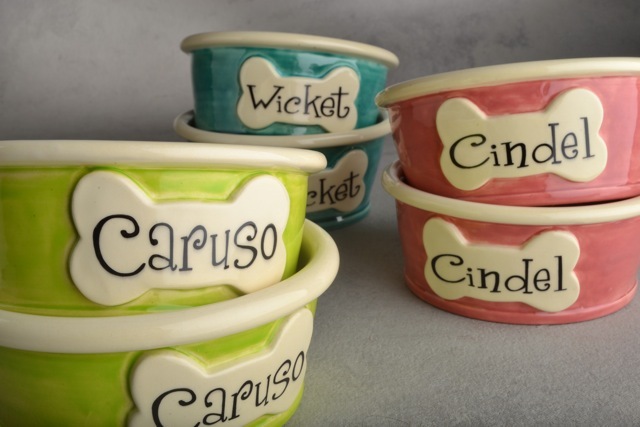 That’s Volley with a new set of Symmetrical Pottery custom dog bowls. We were commissioned to make these through our Etsy shop. They have an added feature of a stamped pattern to match Volley’s facial markings. We drew the pattern on the computer then printed a transparency to make the UV stamp with. 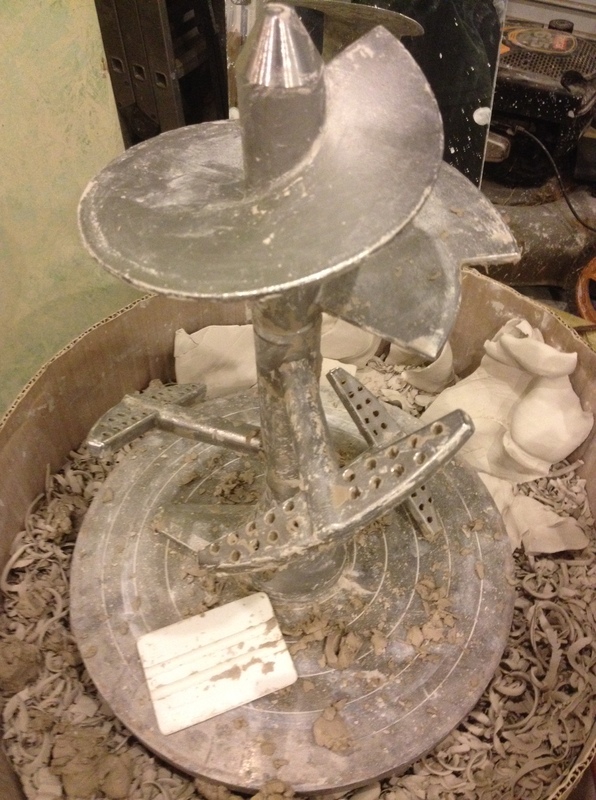 We then did some tests on a block of clay then away we go. 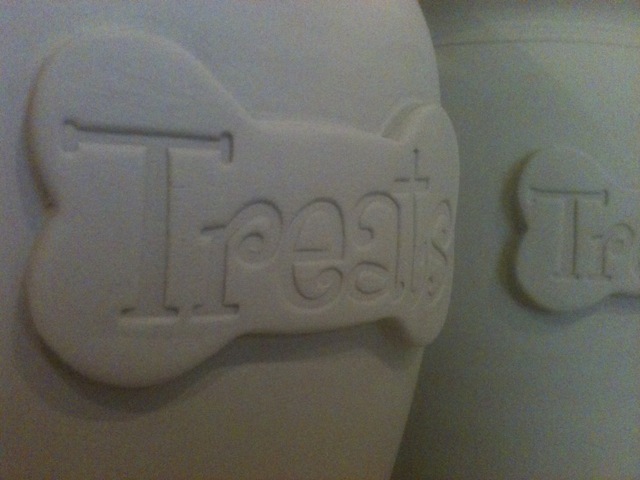 We’ve been getting requests for sealing lids on our treat jars since we started making them. On most of our jars we put the gallery on the jar but we recently came up with a rubber band style seal that would work with the gallery on the lid. Just have to throw three lids for the jar and dry trim to get just the right fit on the best lid until we get better at this style lid. 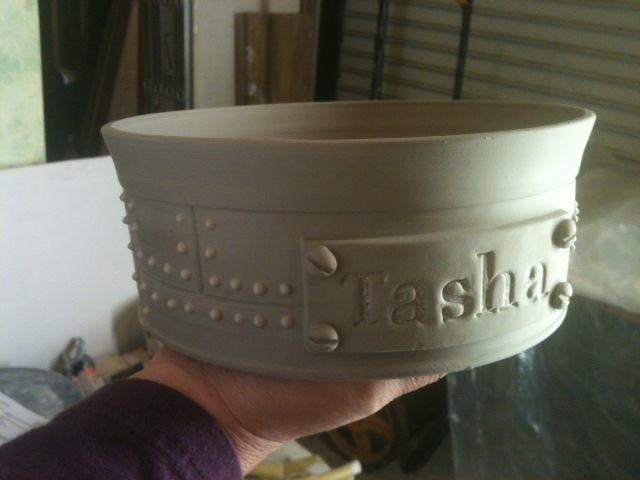 The gallery on the lid gets a wide groove dry trimmed in it to create a lip so the rubber band wont slip off. Gallery on lid has a lip to prevent the rubber band from slipping off. A new incarnation of one of Angi’s designs. 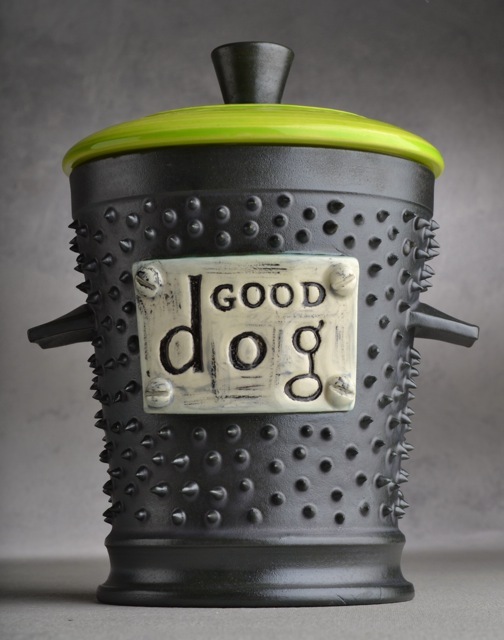 We have made sheet metal mugs and lidded jars, now a customer that saw those asked for a set of sheet metal dog bowls. Next up stoneware ramekins. 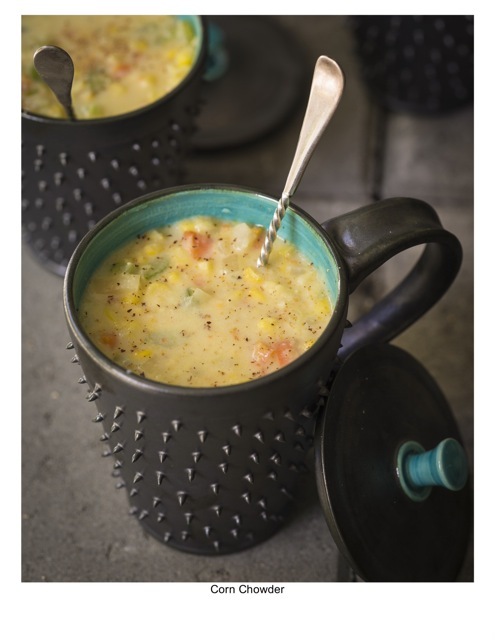 Our Dangerously Spiky Mugs are without a doubt the most popular thing we make. 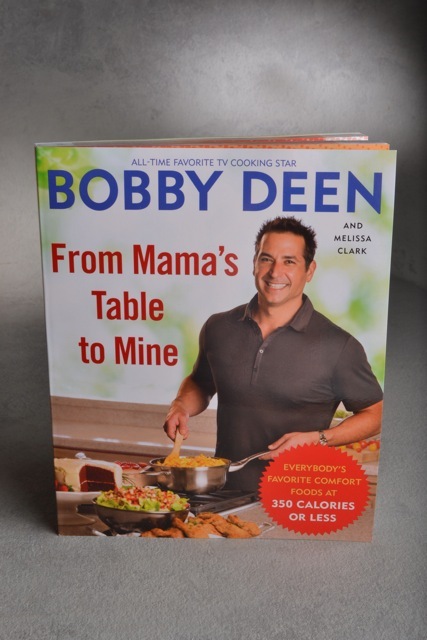 We get lots of free press on a multitude of blogs but being featured in Bobby Deen’s new cookbook is the coolest. 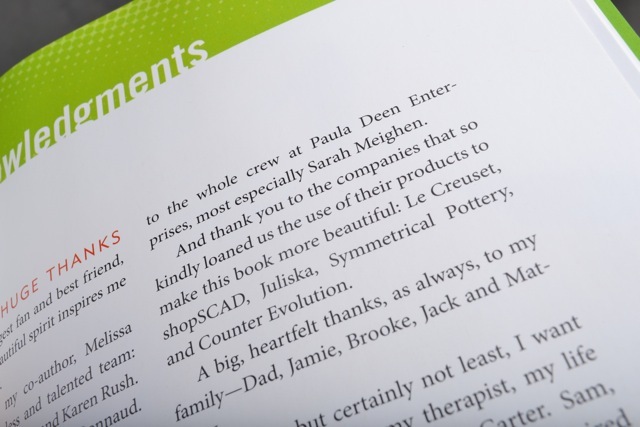 When we were contacted by Libbie Summers a food stylist from Savannah about using our pottery as props in a cookbook she was working on we got pretty excited. 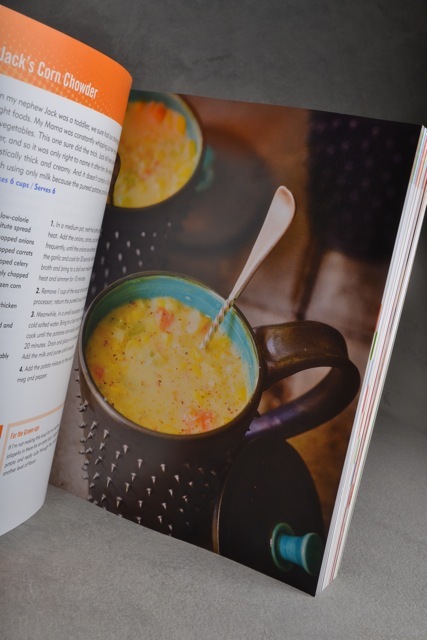 But after finding out what cookbook it was we were stoked. 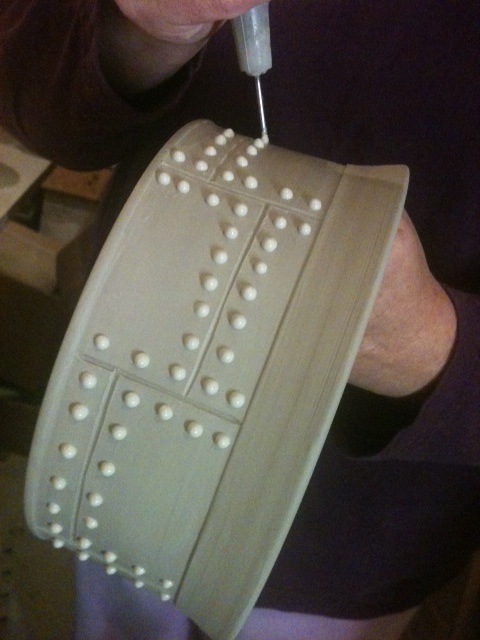 We do a lot of stamping to our pottery so being able to make our own clear stamps is a nice asset. We had been sending PDF’s to rubberstamps.net to get our custom stamps made. Takes a little time and the stamps are a solid red rubber which can be a pain. Clear is better, fast is better, in-house is even better. The plan was to go the total DIY route and build a UV exposure box and magnetic negative holders. But we are beyond busy so we had to purchase a consumer stamp making system. There are several companies selling the same unit under different names. We found the cheapest version at overstock.com, the Teresa Collins Stampmaker. It works perfectly and we are very happy with the results but with any store bought solution comes limitations. It’s too small…WAY too small. 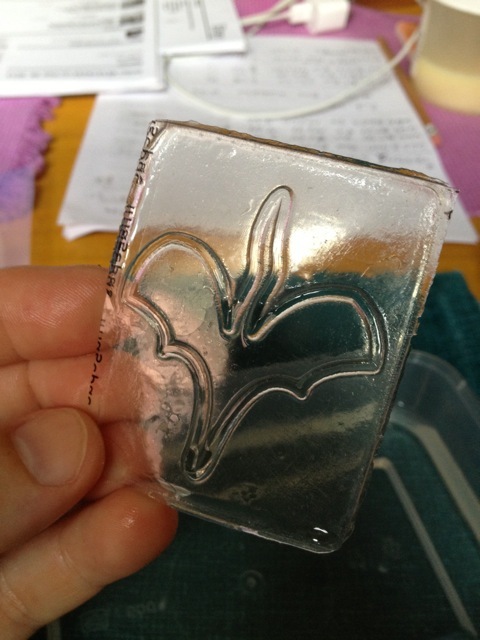 We plan a short term remedy by making our own negative holder that will squeeze into the exposure unit utilizing every square millimeter and purchasing the UV liquid stamp goo instead of using the prepackaged packs. But for the time being we’ll just make due with what we’ve got. The process is incredibly simple. 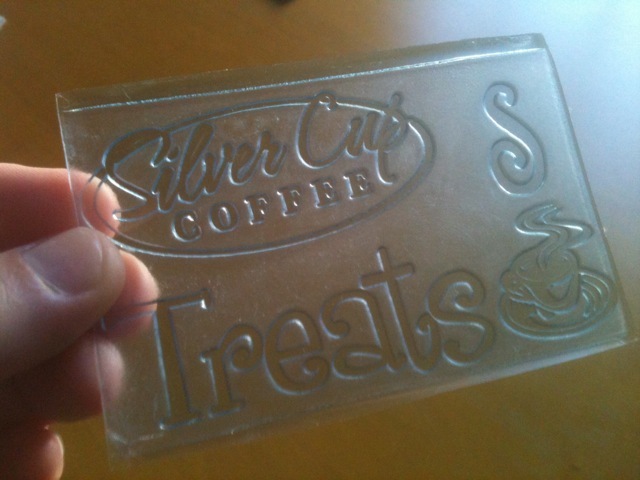 Create a negative of what you want to make using your computer printer on clear film and expose some goo with UV light through the negative. The light solidifies the goo that’s visible through the negative and the rest gets washed away leaving you with a stamp. This is our first try. This is the maximum size of the gel packs that come with the kit. And this is what we did with the stamps. 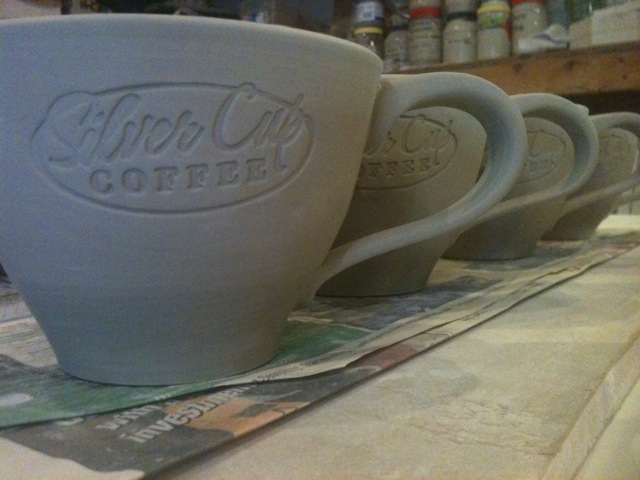 A dozen coffee cups for a cafe in Seattle. 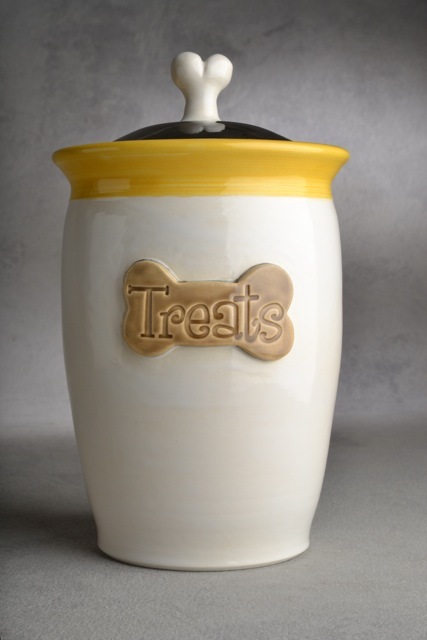 And a few dog treat jars. 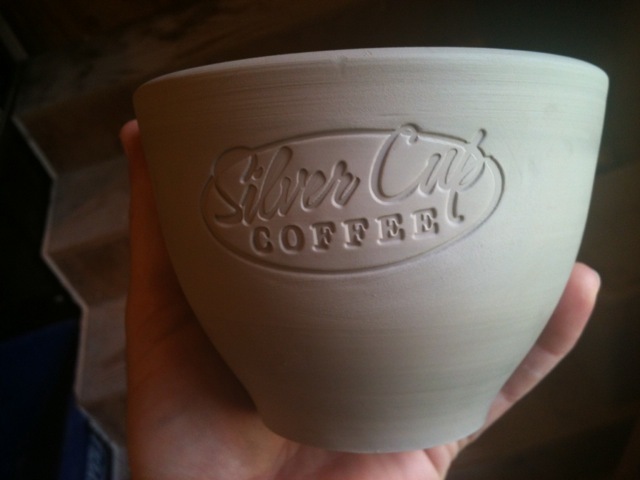 The glaze pools in the stamping very well. 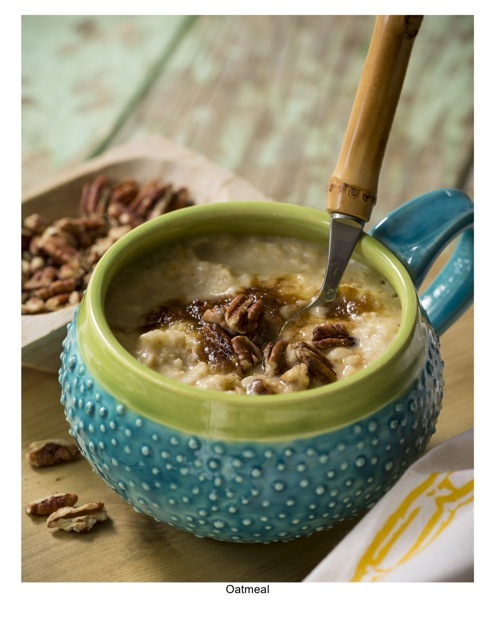 We’ve been asked to make several pieces that we never thought of, from lidded mugs to tea infusers to french butter crocks. 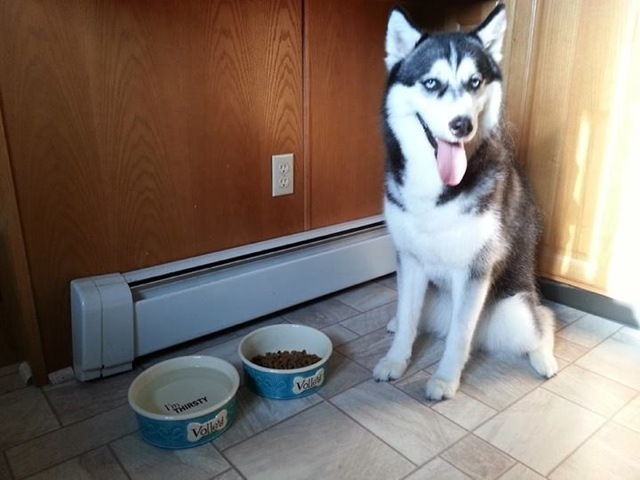 We didn’t know there were different types of dog bowls too. 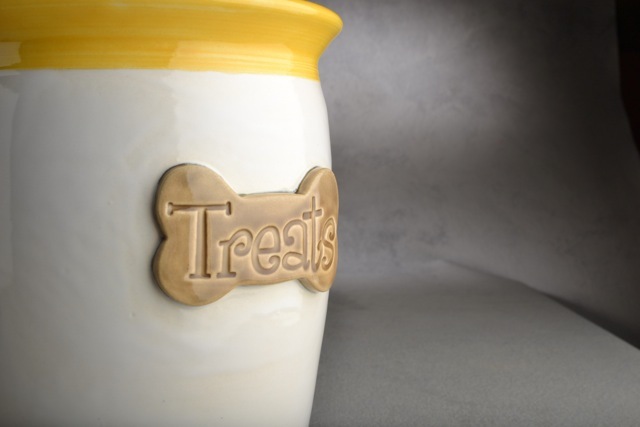 So when we were commissioned to make this set of dog bowls one was something we had never heard of, a “slow feeder bowl”. 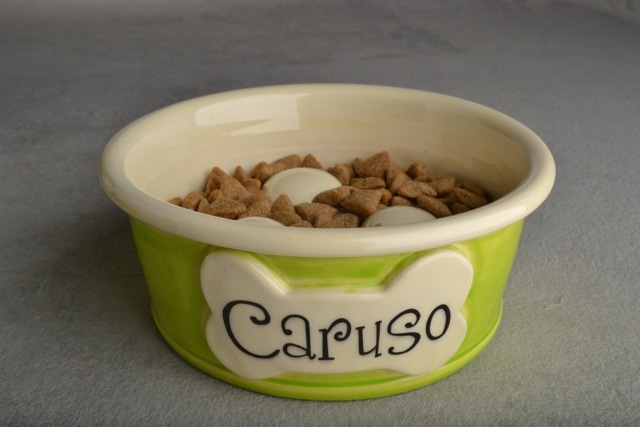 It has “blockers” in the bottom of the bowl to make it more difficult for a dog to eat their food fast. Slows that overdrive puppy down. We threw a few “shot glasses” of the hump and attached them to the bottom of the bowl. 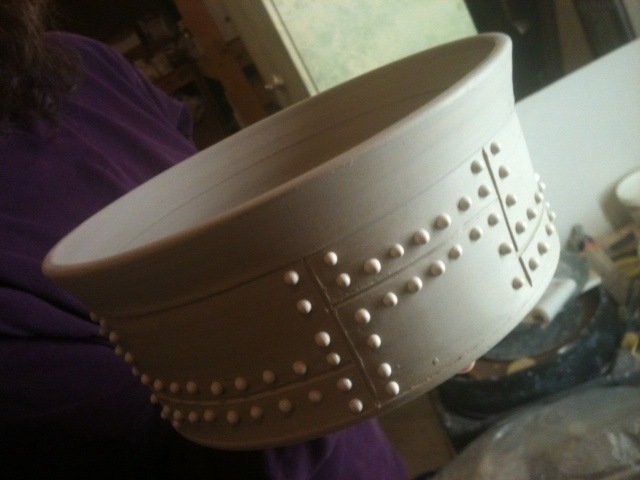 We then carved out the bottom of the bowl under the humps so the bottom looks like a bowling ball. The customer left us this nice feedback at our Etsy store today.